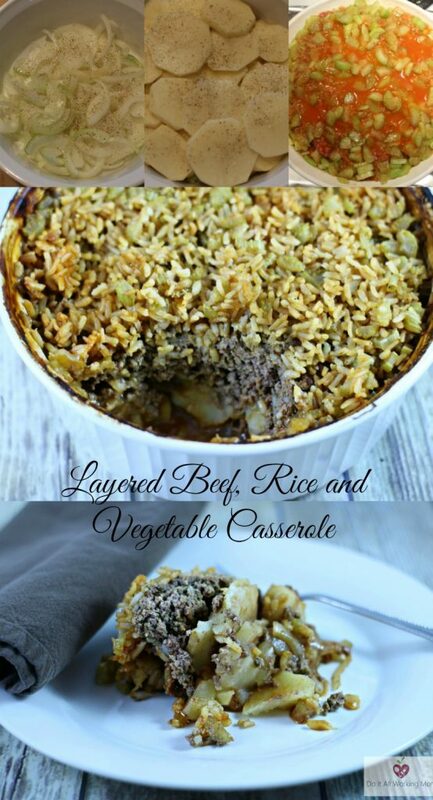 This Layered Beef, Rice, Vegetable Casserole Recipe is simple, easy, quick to prepare and delicious. You will be making it over and over. 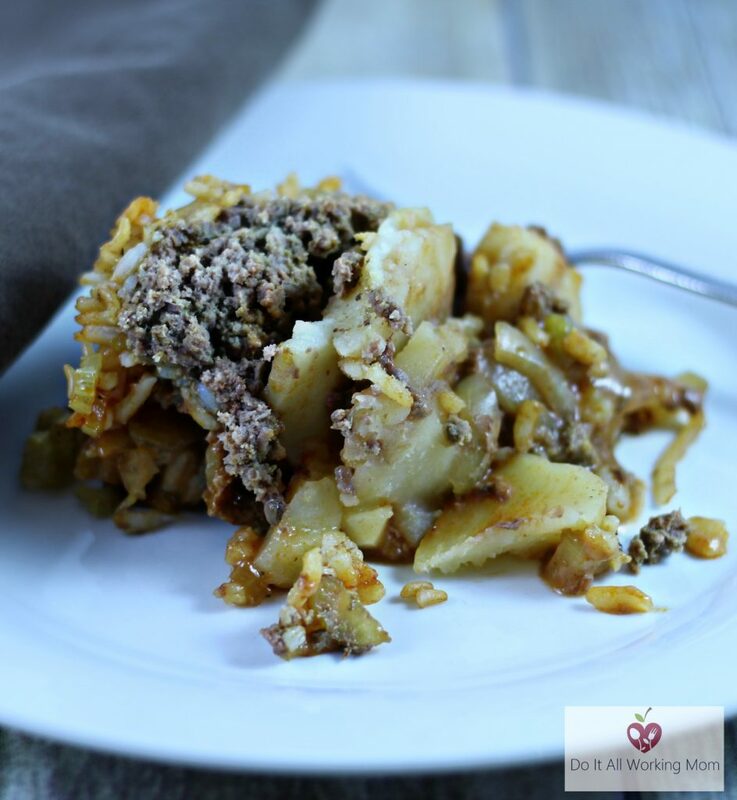 My family enjoys this great weeknight dinner, they even bring left overs in their lunch the next day. 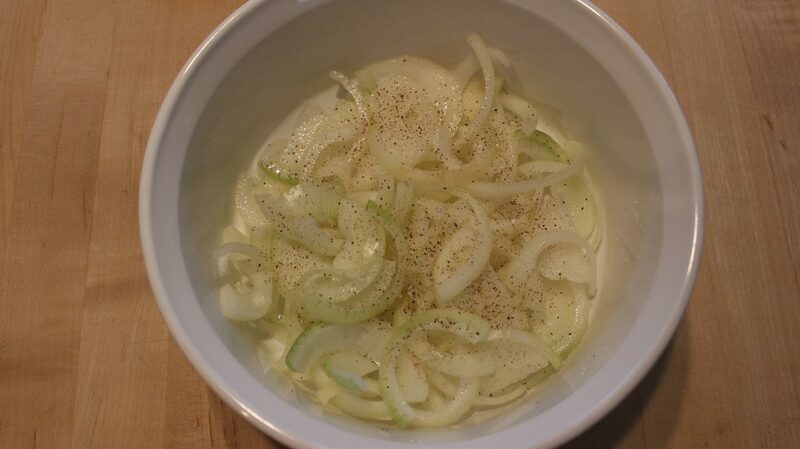 Place the sliced onion at the bottom of a 2.5 L oven safe dish. Add Salt and pepper. 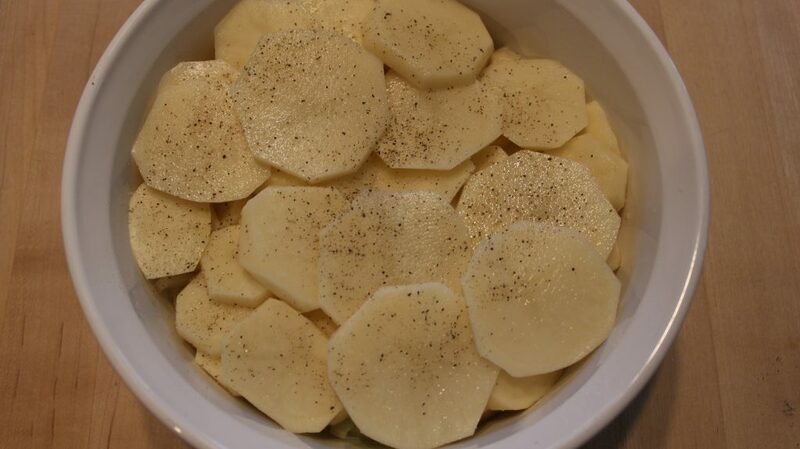 Place the sliced potatoes on top of the onions. Add salt and pepper. 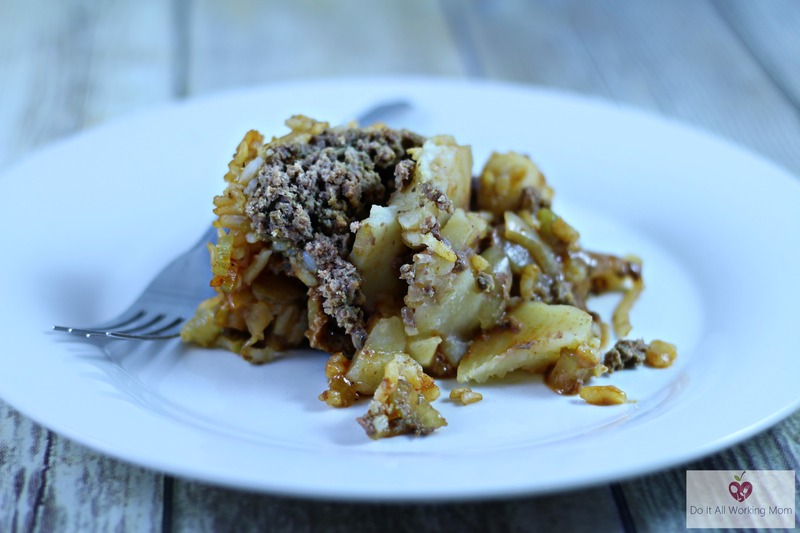 Cover the potatoes with the ground beef. Add Salt and pepper. 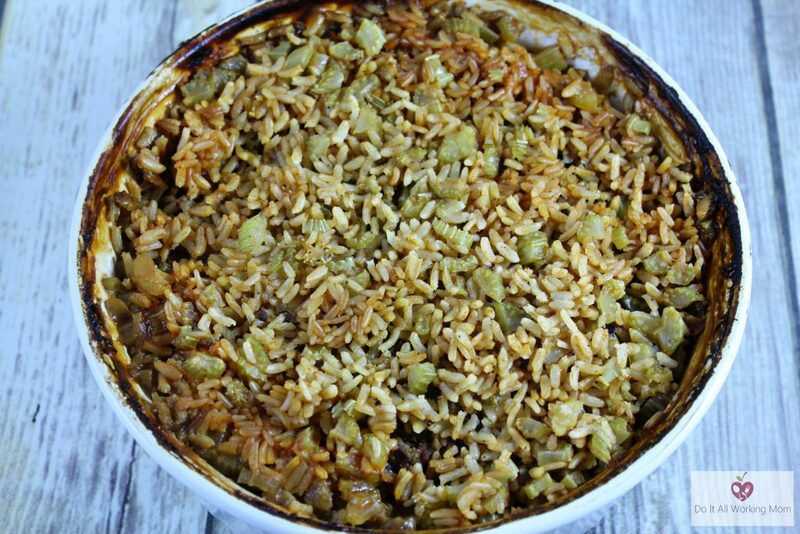 Sprinkle the rice on top of the ground beef. 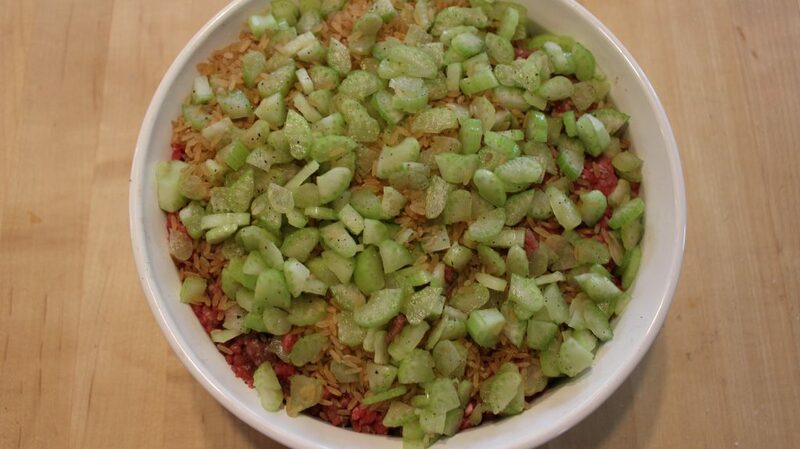 Add the chopped celery and season with salt and pepper. 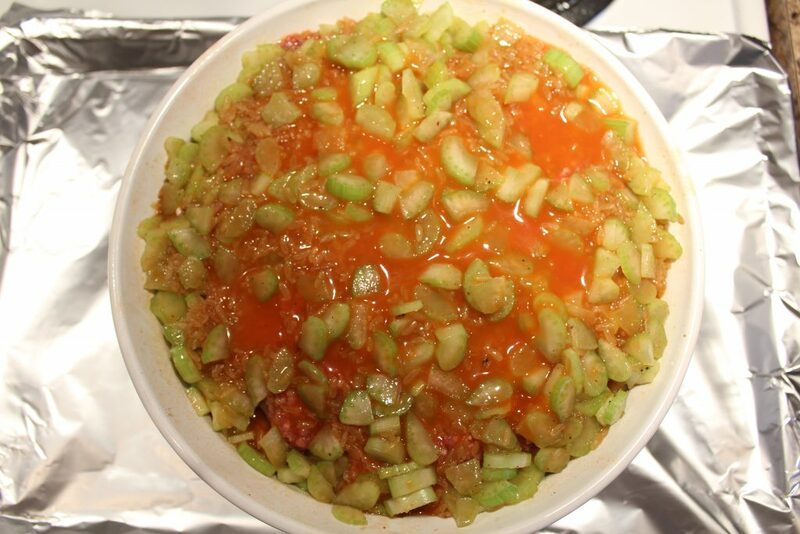 In a bowl, mix together the tomato soup and water. Pour on top and cover. Cook for 1 hour and 45 minutes at 350°F. Until vegetables and rice are tender. 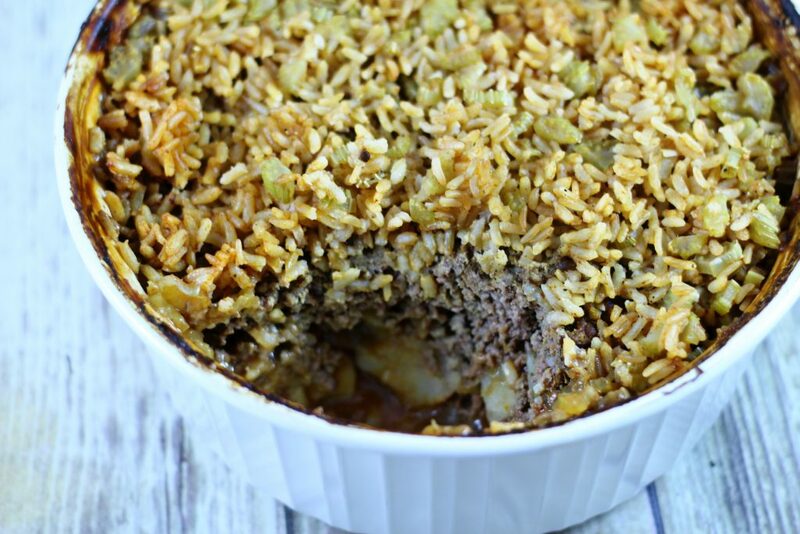 Hope you and your family enjoy this simple Layered Beef, Rice, Vegetable Casserole Recipe.